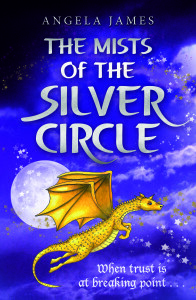 Mailliw’s final adventure is filled with magic and mystery. This winter solstice is one that will go down in the history books as being truly memorable! Trouble begins when a black-cloaked witch arrives in Feyngrey under strange circumstances. Her arrival coincides with Mother McGinty’s disappearance and the escape of Merry Willows from the Carnivorous Swamp. The black diamond is still missing and Minister Grendig is now furious. What connects all these unexplained events. With the height of the Lunasolexus only days away, Aunt Foggerty makes the discovery of a lifetime – that only one thing can stop dark magic from taking over their world. This danger threatens them all, and time is running out. Mailliw and his friends must destroy the Amshir Legacy to save everything they love, but can they stop this ancient source of power? Or will all their lives be changed for ever?